"Make no little plans; they have no magic ...Let your watchword be order and your beacon beauty." Daniel Burnham. 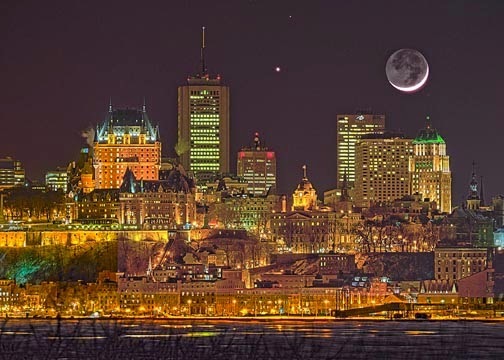 Photo is of the City of Quebec. My Terrien family ancestor arrived here as an immigrant, and as an explorer, stepping into a remote, unknown wilderness in May of 1656. Let your watchword be order and your beacon beauty. "Francine is 28 years old, has two children and managed to get a scholarship from the government so she's currently studying in college. Francine needs an income to help raise her children but as she has very little time she can't find a fixed job. She therefore plans to use this loan to buy materials (baskets, mugs, sweets, bread, flours and stuffed teddy bears) to produce breakfast baskets to sell to her neighbours and at college." Banco Pérola joined Kiva through our Experimental Partnership Program, and has therefore received a lighter level of due diligence. Accordingly, loans associated with this partner carry a higher level of risk than typical Kiva loans. This loan is administered by Kiva partner Banco Pérola, a non-profit organization that aims to contribute to social change in Brazil through the financial inclusion of young entrepreneurs. Banco Pérola is primarily focused on funding loans to young entrepreneurs (ages 18-35) in the Brazilian state of São Paulo. The organization is an off-shoot of Projeto Pérola, an NGO that offers youths trainings and educational courses on arts, culture, and digital media. Banco Pérola was created after staff observed that the youth served by Projeto Pérola had solid business ideas and the drive to execute them but were unable to fund their ideas due to their lack of credit history or collateral. 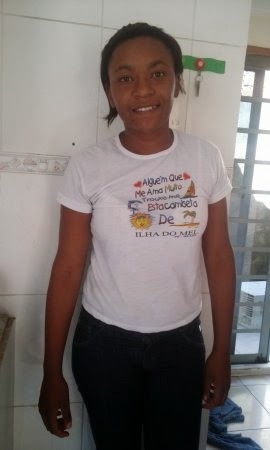 "very happy to realize all your timely payments, Liliana Maria tells us that "all his colleagues are very grateful for the support with the loan to invest in your business, are very happy because they can better support the study and health of their children . thank Kiva and VisionFund for credits for businesses of poor people." This update was written in Spanish by Kiva field partner FODEMI, a partner of World Vision International. We machine-translated it into English for your convenience. The original text is below. Agradecimiento desde Maria Liliana "Nueva Organización"
muy contenta de realizar todos sus pagos puntuales, María Liliana nos indica que: "todos sus compañeros se encuentran muy agradecidos por el apoyo con el préstamo para invertirlo en su negocio, están muy alegres porque pueden apoyar mejor en el estudio y salud de sus hijos. agradecen a Kiva y a VisiónFund por los créditos para los negocios de la gente pobre.